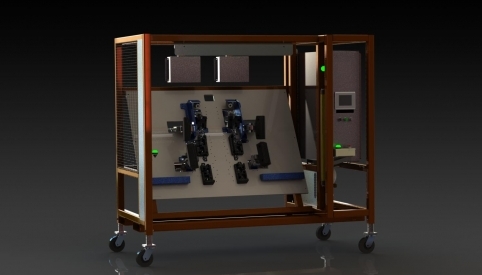 The operation of this machine is to install mounting clips onto the left and right hand version of an interior panel of an automobile. 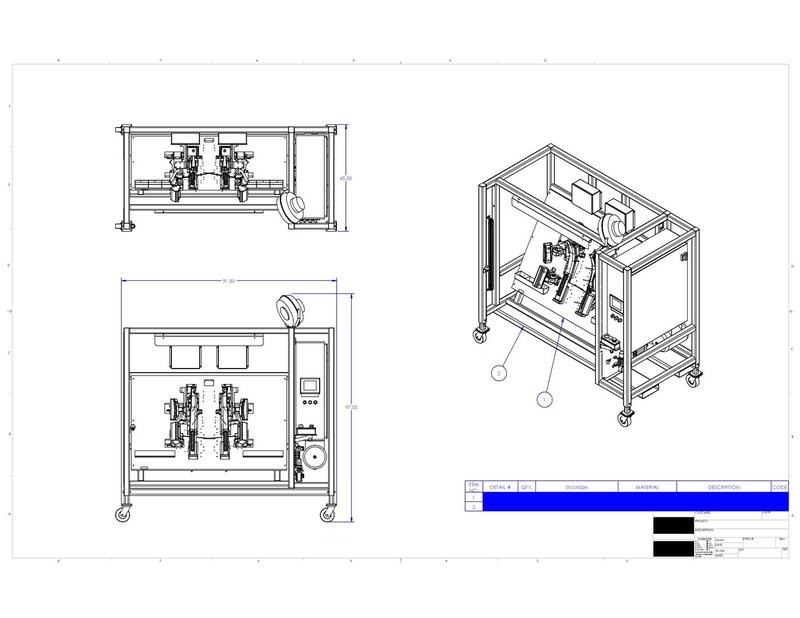 The machine detects the part presence and verifies the version via bar code scanner. 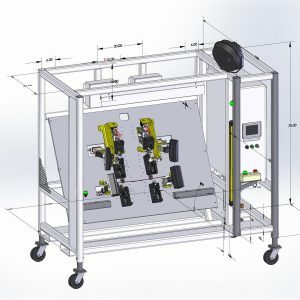 The product is secured by pneumatic, locking swing clamps before cylinders extend to deliver the pre-load clip onto the clip tower on the product. 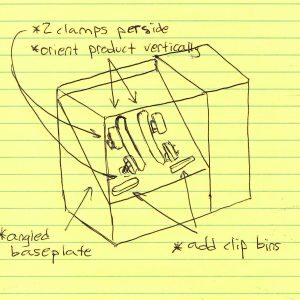 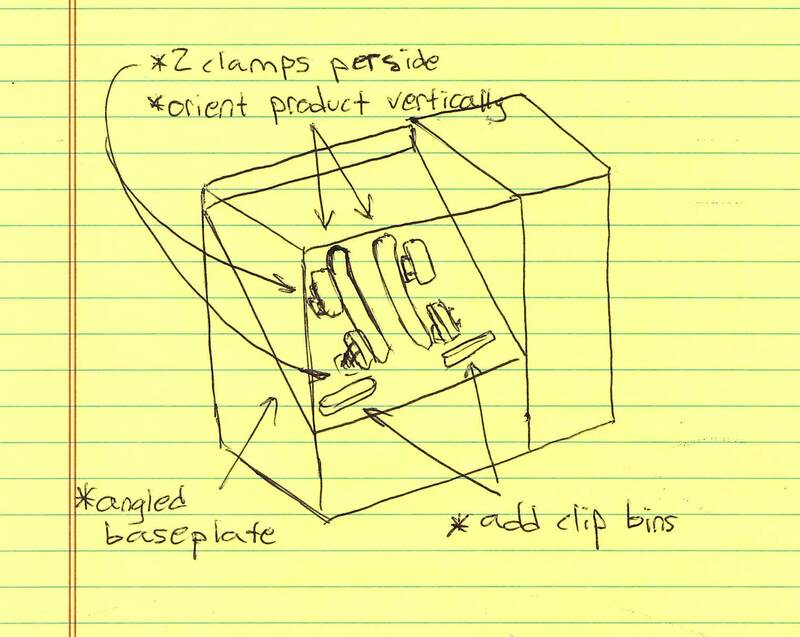 Once the operation is complete, the part is marked complete and the clamps are released. 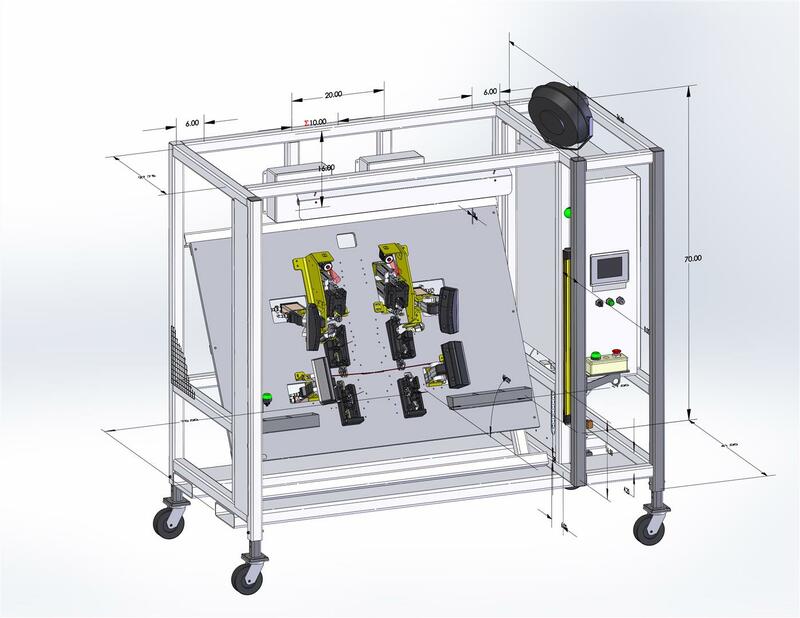 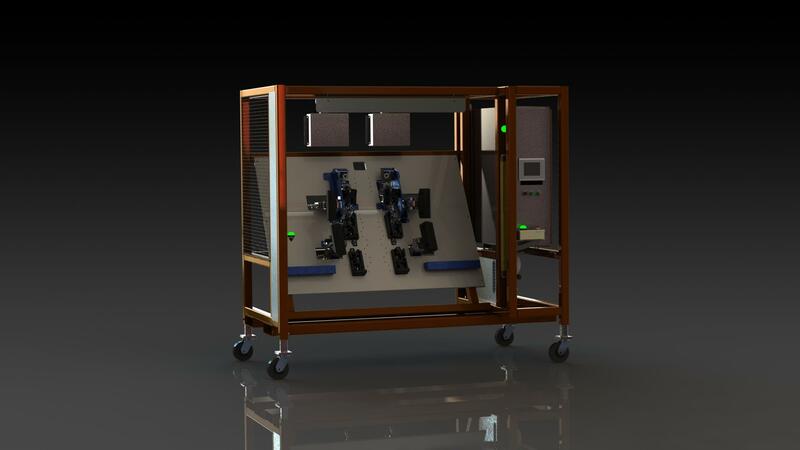 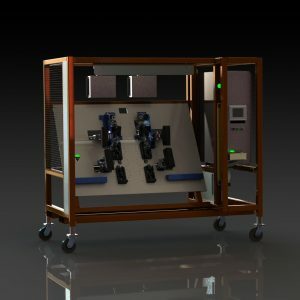 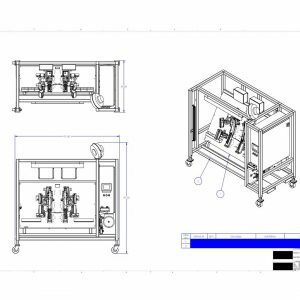 Custom machine design was completed using Solid Works Software.